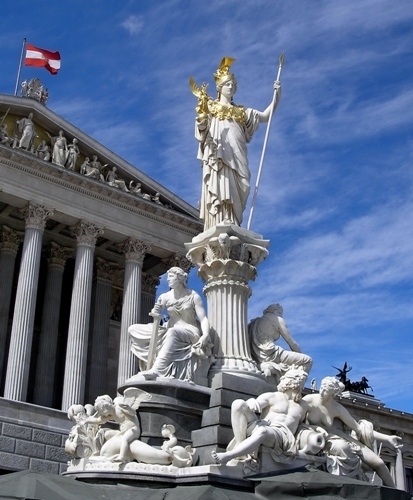 Athena just like any other goddesses and gods in Greek mythology has symbols. The owl is her main symbol because it represents wisdom and watchfulness. Another symbol is the small shield called as aegis. It shows the people with snaky head of medusa. Athena is always depicted with a young woman. She holds a shield and a helmet. 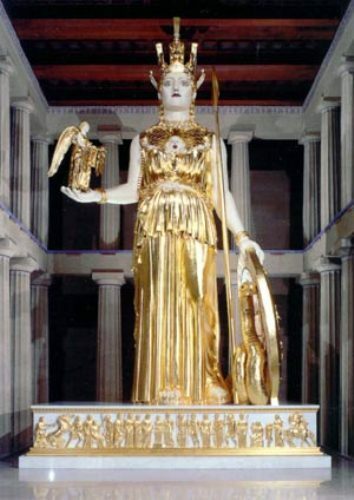 You can see the real statue of Athena in the Parthenon temple located in Athens, Greece. Even though Athena is a goddess, she has weaknesses too. When Athena makes a decision, she always thinks using her own reason. However, she was involved with compassionate and emotional feeling when it comes to her beloved people such as Odysseus and Perseus. Athena has various strengths. She was a potent peacemaker. She never let her emotional thought affect her decision. She was well known as a powerful, intelligent and rational defender. 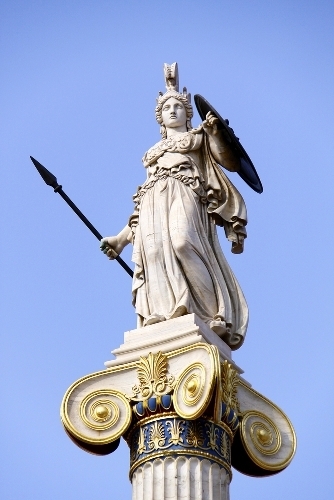 Athena was the daughter of Zeus and Metis. The mythology stated that the birth space of Athena was on the top of the mountain of Juktas. It was located in the island of Crete. Athena did not marry anyone. However, she was in love with hero Odysseus. This man always accompanies her when she was on the long journey. Since Athena was not married to anyone, she did not have any child. Athena has many siblings because she was the daughter of Zeus. But all of his siblings were the half sisters and half brothers. Some of them include Dionysus, Hercules and Apollo. There is a legend of Athena competing with Poseidon toward the affection of the local people in Athens. Poseidon gave the city the salt water and a wonderful horse. Athena gave olive tree. The local people preferred Athena’s gift. Thus, the city was named after her. The best preserved and best known temple for Athena is called Parthenon. It is located in Athens. The legend states that her gift to the Athens was the first olive tree. People can use it to make oil. This woman is also well known as a shape shifter. She can transform her body into a bird. 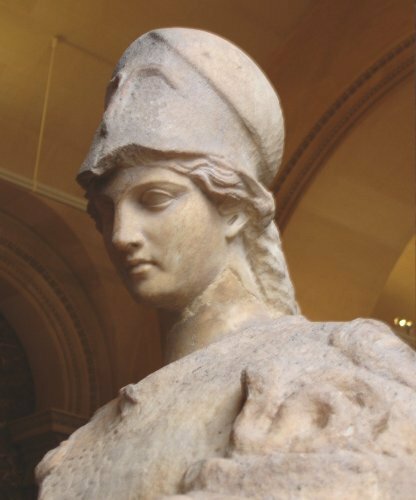 Do you have any opinion on facts about Athena?